We are teachers (Jaana Hekkanen, Petri Korpi, Janne Männikkö, Marko Kivimäki, Timo Fordell, Niina Siltari and Katri Kesti) from Metsokangas Comprehensive School from Oulu, Finland. Janne is a English, Swedish and ICT teacher in Grades 7-9. 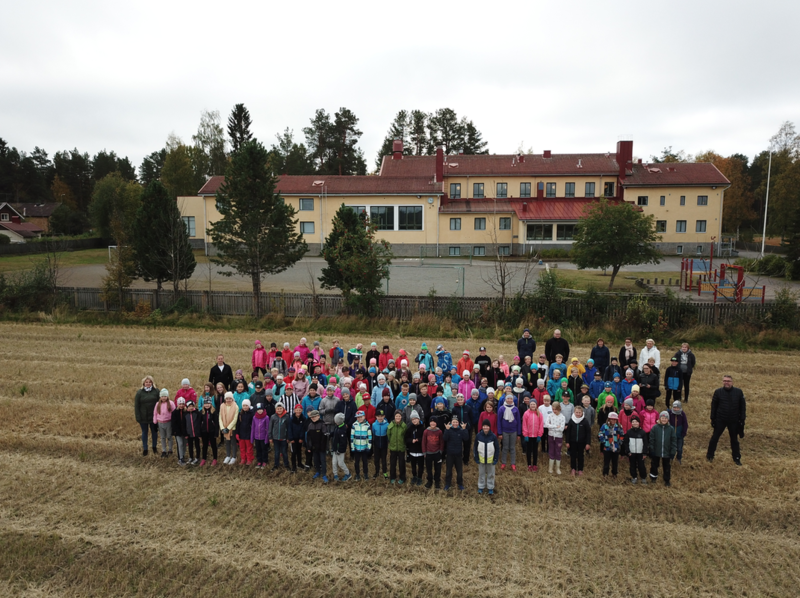 Petri, Jaana, Niina and Katri are Class teachers and this year they teach the 3rd Graders. Marko and Timo are the 4th Graders teachers. All of us are also very eager to integrate ICT into all subjects we teach. Jaana's and Petri's 3rd Graders started to work with the theme Global warming. All that was new to them and that's why we started with thinking about the Finnish climate, talking about the weather, watching videos about the Global warming and writing down ideas on Padlet. Our students used their own mobile phones while working with this project. Next week we will continue our project by thinking about the consequences and making cartoons about the ways how to decrease the Global warming. Janne's 9th Graders worked as a translators after the 3rd Graders had finalized their part in Finnish. During the week 4 our students reflected their work by making a reflection video.